I was going to skip my blog in honor of those who lost their lives during today’s attacks, but then I remembered these words from Dumbledore and knew I had to say a little something. France needs humanity to reign. They need love, peace, & solidarity. 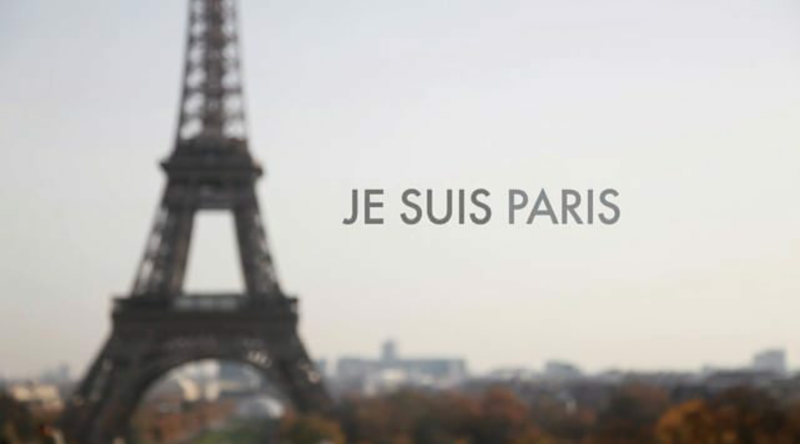 Skip any political and/or religious agenda, & stand with Paris. It’s so easy during a tragic event to try and run your own personal agenda. It seems human nature as of late. But when something horrific like this, or the Turkey bombing, or Kenya school terror attacks happen we have to remember one thing first and foremost: people lost their lives. Forget who. Forget why. Just remember that there are families whose lives will never be the same because of the selfish acts of a few. Hate does not run this world, I truly believe that love does. The problem is with hate comes horrific acts. People who love don’t blow buildings or set off suicide bombs. We must find it in ourselves and by uniting with one another to always choose love. To condemn these acts and teach a message of love. How do you do that? By living love. By loving your neighbor as yourself. So many Parisians opened their homes to those fleeing the gruesome scenes of the attacks. THAT is how you live love. THAT is how you shut down terrorists and their plan to thwart light and love. Kill them with the ultimate kindness.